There are many different types of nursing homes in Blackburn with Darwen where a number of people live together, looked after by trained nursing staff, available 24 hours a day. They are independently run by a variety of private and not-for-profit organisations. All registered nursing homes are regulated by the Care Quality Commission so if you are looking for a home yourself visit their website at www.cqc.org.uk where you will find general information and copies of inspection reports. Who can go into a nursing home? Nursing homes provide nursing care for people over the age of 18 who live in Blackburn with Darwen and are unable to remain living independently at home due to physical or learning disabilities, mental illness, sight or hearing loss. In certain circumstances, short term places are also available for people recovering from a hospital stay or illness, or to give the person who cares for them a break from their caring responsibilities. Please note: Nursing care in your own home is generally provided by district nurses but where your nursing needs require more frequent or specialist care than can be provided by them, then a nursing home may provide a suitable alternative. What are the different types of care home? We can arrange an assessment of your needs, including your nursing care needs, to be carried out by a social worker and a nurse. They will advise you on the choices available so that you can decide how you wish your need to be met. However, your choices may be restricted by the nature of your health and care needs. Can I choose my own nursing home? If, following the assessment, we agree that a nursing home is the best place for you to live, we can recommend all the nursing homes in Blackburn with Darwen that would meet your needs. We encourage you, your relatives or carer, to make a considered decision by visiting the homes to see if you would be happy there. If there is no one to advise you on your choice we can arrange for someone independent to advise you. If you want to see what is available you can use the search facility on the right hand side of this page. Just enter the type of care needed and the area you are interested in then click next. Alternatively, please click here to download the list of care homes in Blackburn with Darwen. All registered nursing homes are regulated by the Care Quality Commission so if you visit their website you will find copies of recent inspection reports. The costs of nursing homes vary, depending on the type of facilities provided and the amount and type of care you need. Some staff will be qualified nurses and this means that the charges are higher than in a residential home. 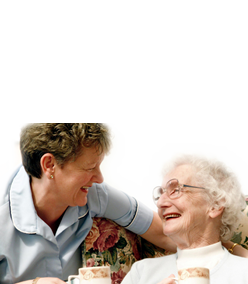 Help towards the cost of nursing home care is provided in part by the NHS and in part by the Council. Everyone assessed as requiring a nursing home to meet their nursing needs is entitled to a contribution of £158.16 per week from the NHS regardless of their income or savings. This is paid directly to the nursing home. You may be entitled to financial support from Blackburn with Darwen Borough Council to cover some of the remaining cost if you are assessed as requiring a nursing home. We will help you fill out a financial assessment form to see if you qualify for financial help. To get a rough idea of costs you can carry out a quick confidential financial self assessment, online. How much will I pay for services?